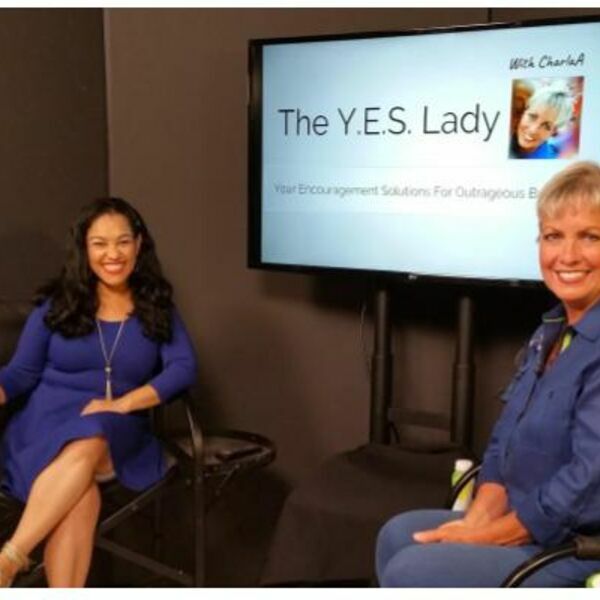 Elayna Fernandez joins Charla Anderson on The Y.E.S. Lady with CharlaA directly off the red carpet as a highly sponsored blogger. Elayna considers herself a 'Student of Pain', because her circumstances, though some would call tragic, were not allowed to define her life. When a light bulb came on, she decided to BE positive, and it changed her entire experience. Discover how the spunky, lively, and charismatic Elayna Fernandez stepped into her future boldly, and how leading her family inspired ThePositiveMom.com - creating a demand for her endorsements nationwide. Download the FREE OffBeat Business app, or go to The Y.E.S. Lady with CharlaA media page for more Y.E.S. Lady TV, or listen to The Y.E.S. Lady with CharlaA on iTunes or Google Play Music through the OBBM Network Podcast.